The dimension "angular" serves to dimension the angles. The process is always similar: having to dimension the angle of two intersecting lines, you activate the command, that in this case, ask you to select the two lines involved. Make then click on the lines to select them, and as in previous cases appear the new angular dimension, which by following the mouse can be fixed in the desired position. 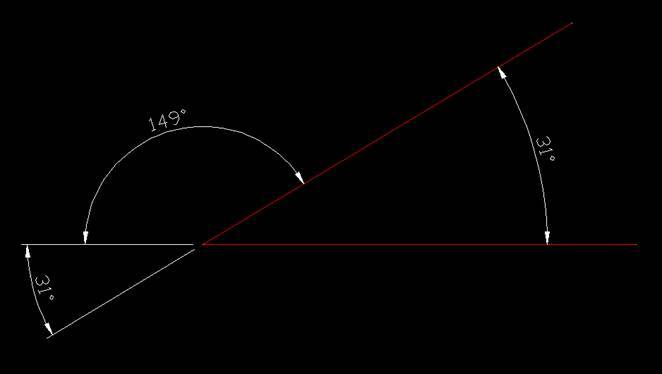 To insert a dimension of an angle, it is not necessary that the intersecting lines touch or cross each other; if the lines in the example above they were interrupted before intersect, you can still quote them with an angular dimension.